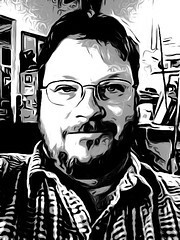 After seeing some example of photos enhanced with the Toonpaint iPhone app, I knew I wanted to try it out for myself. These are my first two photos. You Toonpaints don't need to be black and white. You can use the built-in tools to add comics-like color washes to the pictures, too. 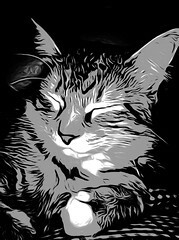 Toonpaint photos can be saved to the film roll on the iPhone and also shared to Twitter and Facebook.